CDO was just too friendly. It was a foolish thought because it’s not the City of Golden Friendship for nothing. According to the locals, it’s called like that because oro means gold in Italian and Spanish. I didn’t press on the ‘friendship’ part because it is subjective. But after experiencing the night life concentrated in Lifestyle District, and getting lost several times in the streets, I realized it is indeed friendly. 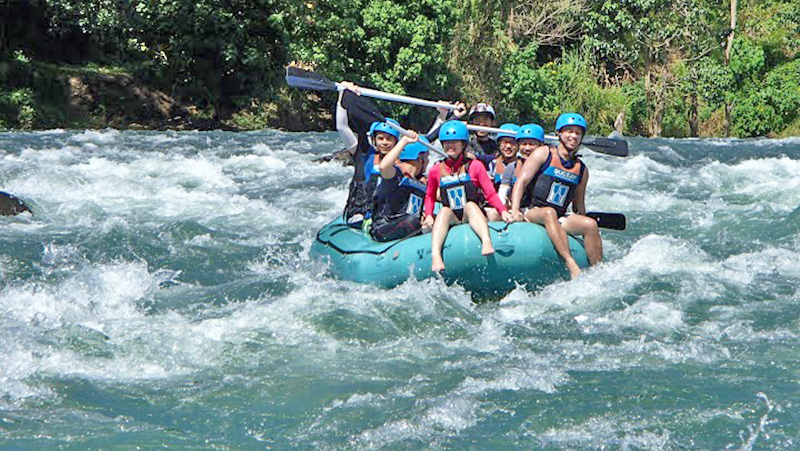 Cagayan de Oro’s famous Cagayan River is what drives tourists to visit the city. 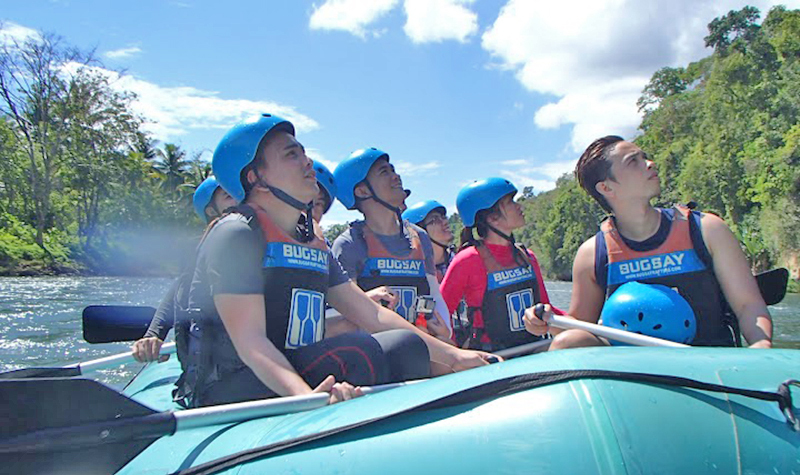 Composed of rivers Kalawaig, Tagite, Bubunaoan and Tumalaong, white water rafting is where the fun goes full circle. Kayakers tried, but rivers this long, approximately 13km, are best shared with groups. 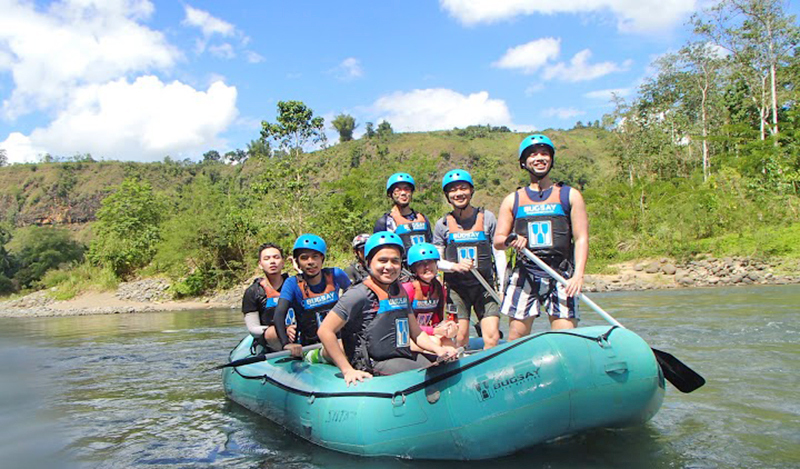 Here are ten tips to make your first ever white water rafting a blast. In a perfect world, you’d want a cloudy day with lots of sunshine. Reasons for this include the water being white, less sunburns, and the pictures will pop from the brightness. The rafting stretches 2-3 hours and it would be disappointing should you go there after heavy raining and when the water is brown. You didn’t sign-up for brown water rafting. Check Yahoo! Weather and see the forecast at least five days before the trip. Otherwise, there’s no backing out. The view, the rapids and the sense of leadership, they come full circle when you’re seated like a damn captain upfront. 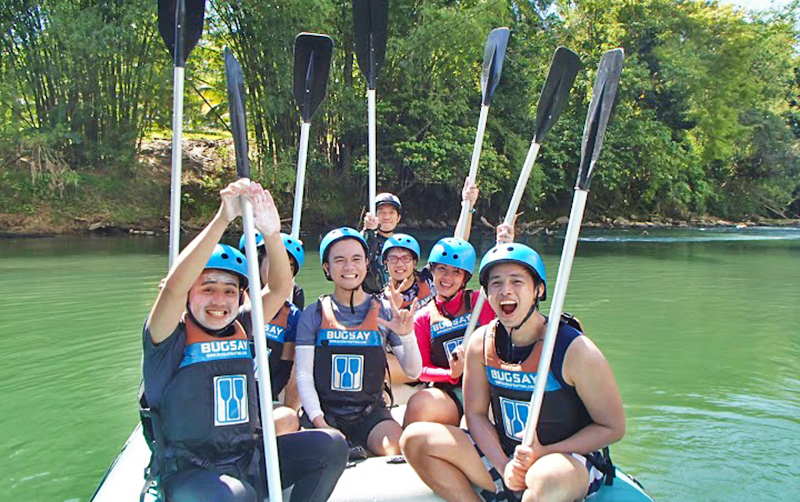 When the instructors ask for the strong paddlers to be seated in the raft’s front section, do not hesitate and present yourself: choose your spot and fulfill your destiny. Also, you get the best angle and exposure in the pics. As the life-jackets provided and the raft are colorful enough, you’d look like a fruit salad should you match them wearing screaming prints and colors. This is not just about you experiencing the rapids, this is also about you looking great when those pictures get posted on FaceBook or Instagram. If the urge to go colorful proves to be too embedded in your personality, show them in your shorts or pants. 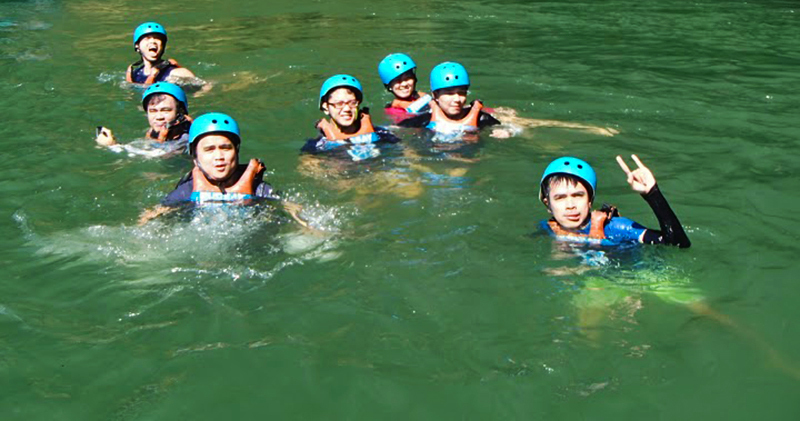 ‘‘What do you do when someone falls into the water?’’ The instructor asked the group. This and other life-saving tips can only be digested if you’re listening to the briefing. Ignore the urge to get overwhelmed by the feel of the paddle in your dirty hands, the surprisingly light helmet on your head and the life-jacket suffocating your body fats. You are a newbie. Shut up, listen and stay alive. Like your life depended on it. Because it does. Don’t leave the sunblock in the vehicle after applying it on your face and arms thinking it is enough. Again, the activity is 2-3 hours. Constant application every 30 minutes is a must if you want to avoid getting sunburns and becoming unattractive in the process. There will be times when 1 of the 14 rapids will test your fighting spirit and intimidates you. But remember why you have chosen to be seated in your position - to experience the thrill and to be humbled by its power and presence (and to get the best pics). 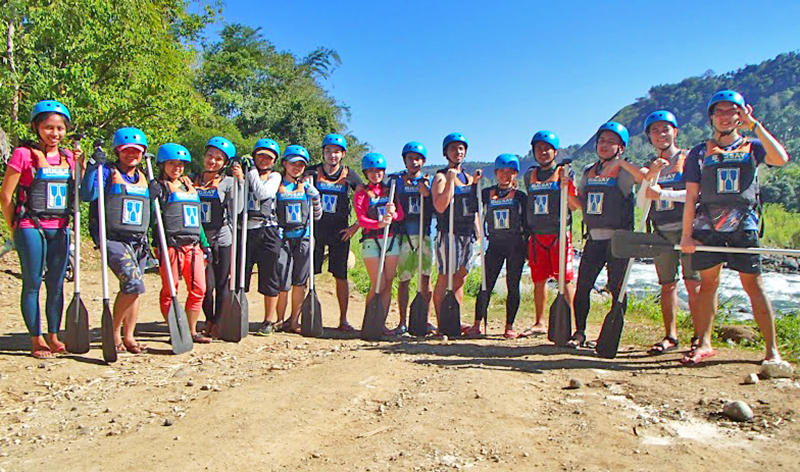 Dramatics aside, the instructor wouldn’t risk a soul, so trust them and their chosen rapids for the group to enjoy. 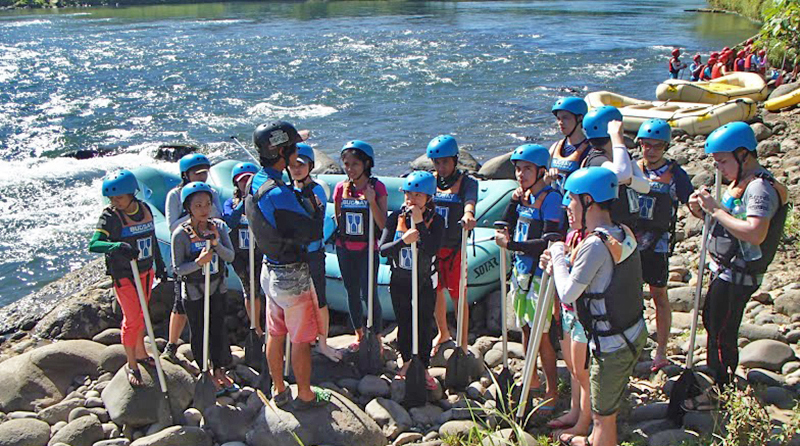 Only when the rapids have been conquered and the instructor signaled the next ones are minutes away. For one thing, you can’t risk overheating with your head covered during momentary river baths (the instructor showers every one once in a while). For another, smile and let the camera capture your face. While the rapids are amazing, there are lots of time in between them. So when the instructor suggest for all to swim, you go swim. The water is cool and the current makes floating a subtle yet truly satisfying experience. Talk to the instructors and get insights into their amazing world. The waterfalls are also worth checking. 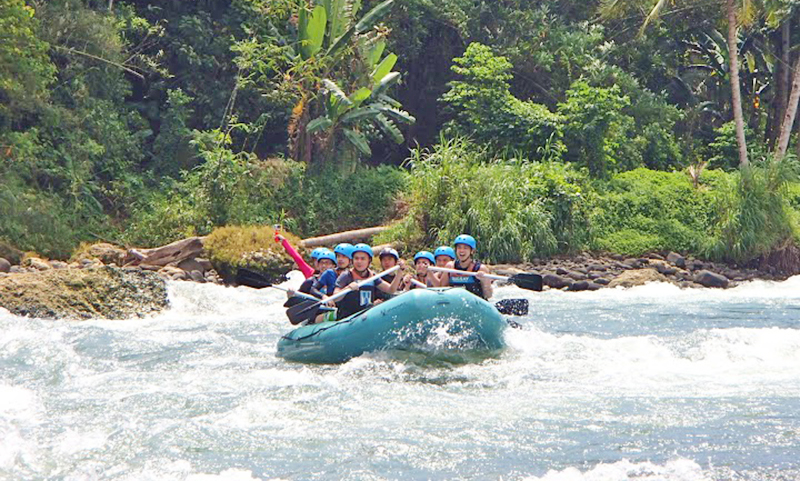 The white water rafting activity usually have three rafts, making up for a group of three. They will travel in intervals and will be gathered only once docked in a rock, where everybody is encouraged to use it as a jumping base to the water. Make friends with the group. Not the literal ‘Hi, I’m Piglet and you are?,’ but through simple gestures, like lending them a hand during the climb, smiling at them (when they slip - kidding) or cheering for them before they jump into the waters. 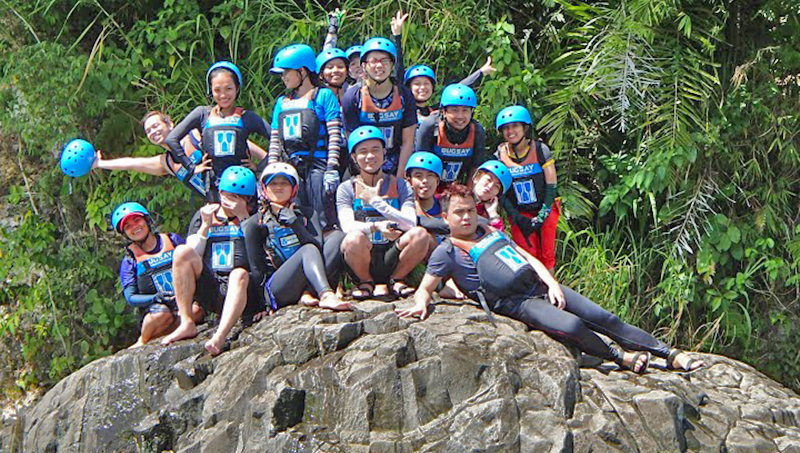 This white water rafting experience gets even more fulfilling when we acknowledge peers, who are just as scared as we are in the beginning, but now have found courage. We signed-up for Bugsay Rafting and they have this special photographer (paddling in his own kayak) to take pictures of the entirety of the activity. 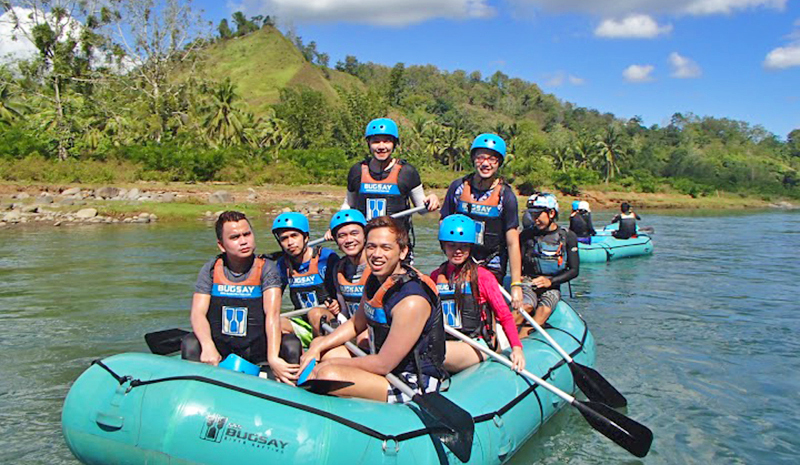 They are considered by many as the best rafting company in CDO. I couldn’t agree more: the guides are professional, the equipment are top notch and I like that they come in blue. It’s cool because, at first, I was thinking how on earth would we get images that would really showcase the vastness of the river or the intensity of the rapids with a GoPro? Also, I’m not a big fan of close-ups! You want these shots, for they are amazing, captured from a perfect distance and are FaceBook ready! C’mon now. You’ve had this in your bucket list for years! Book that ticket to Cagayan de Oro, tag along friends and leave your fears out of the dirty window.